The Radio I am using is an Icom 706-MKIIG and the tuner is an LDG IT-100 auto-tuner. I love this tuner by the way. It’s extremely easy to install and use. 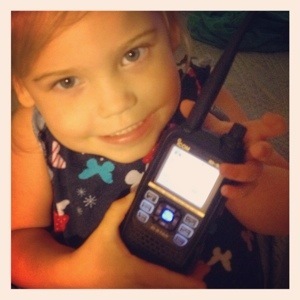 My 3 year old is fascinated with all my ham radios.